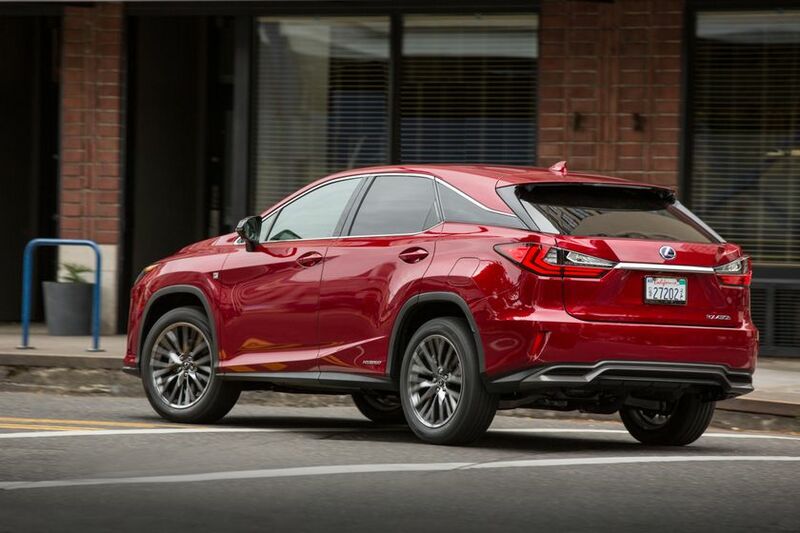 (TORONTO, ON – November 16, 2016) It’s the boldest RX yet. 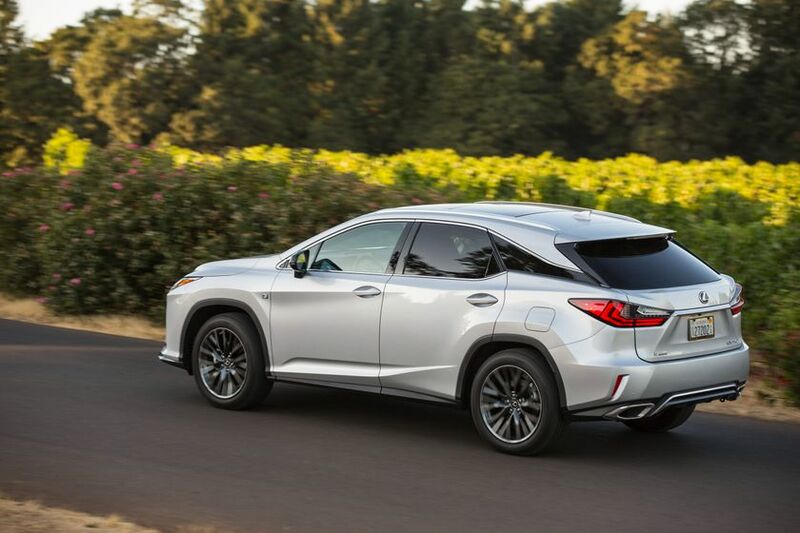 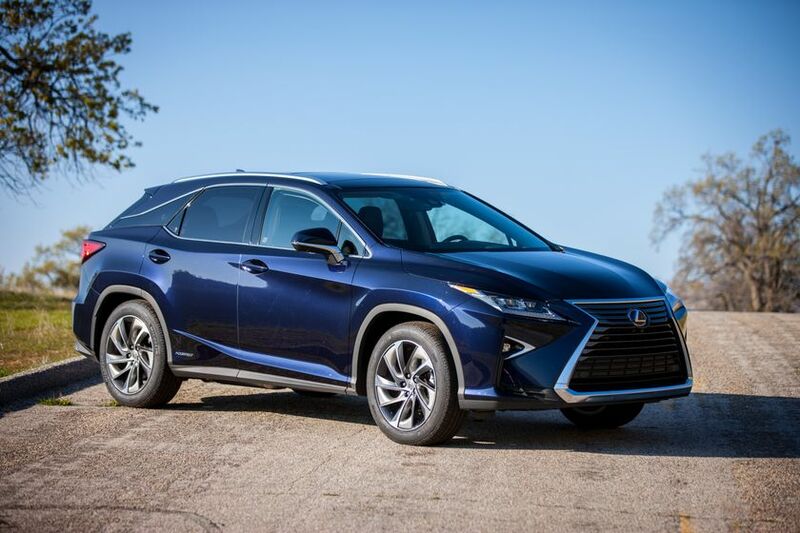 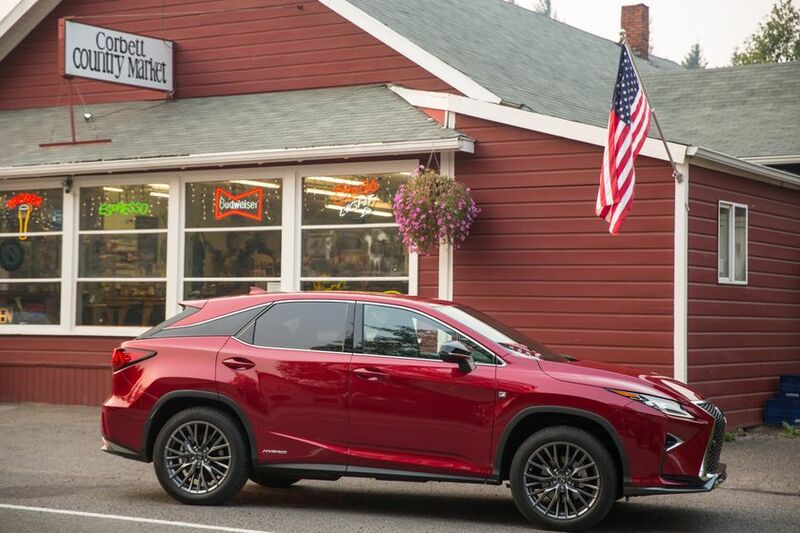 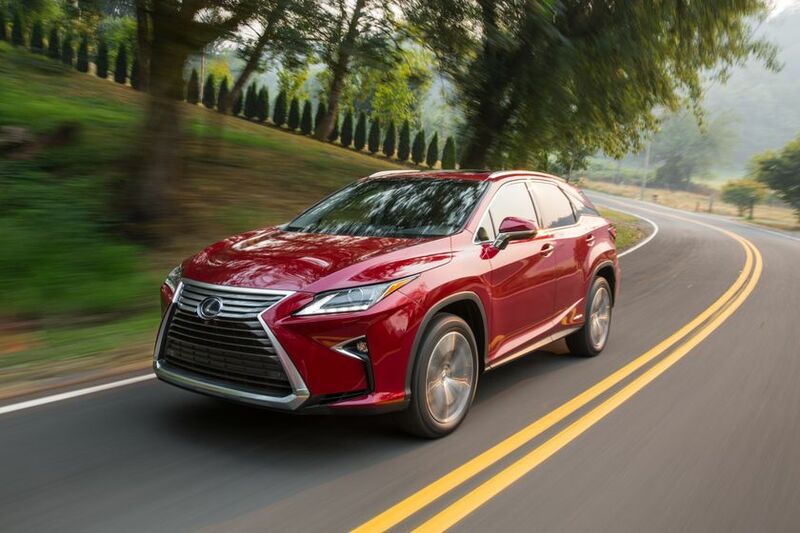 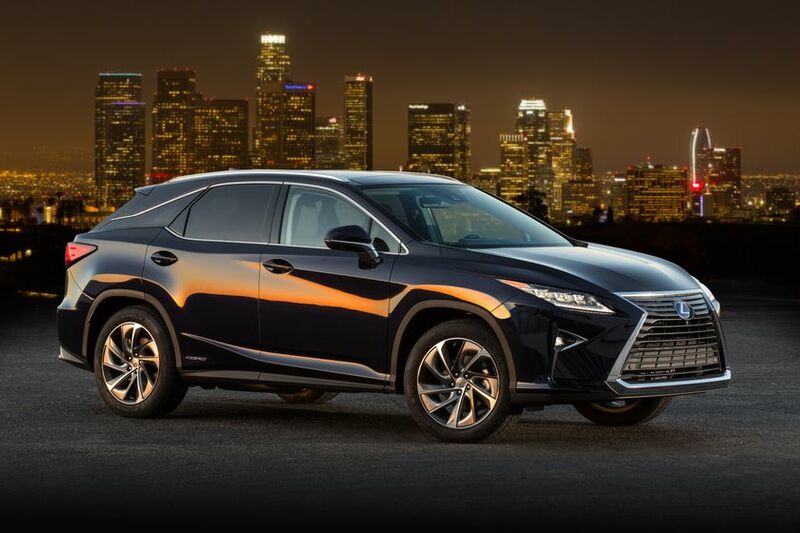 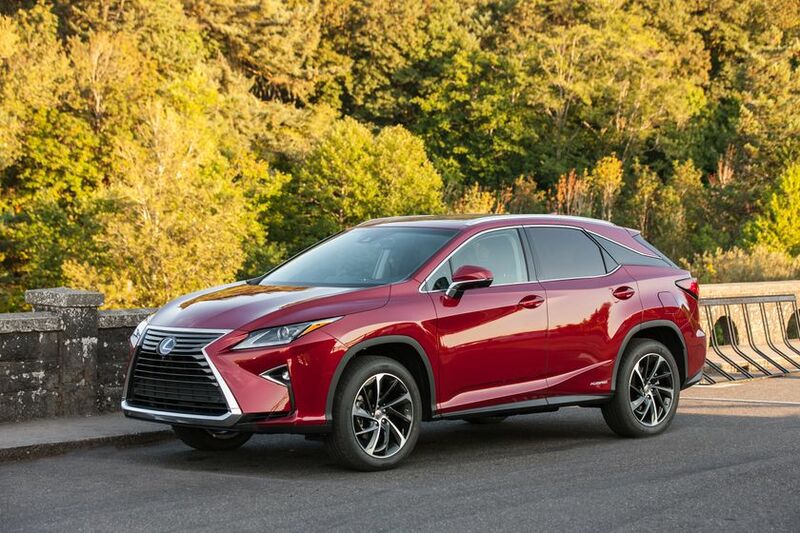 The 2017 Lexus RX 350 and the hybrid-powered 2017 Lexus RX 450h are the luxury crossover, honed to a sharp edge. 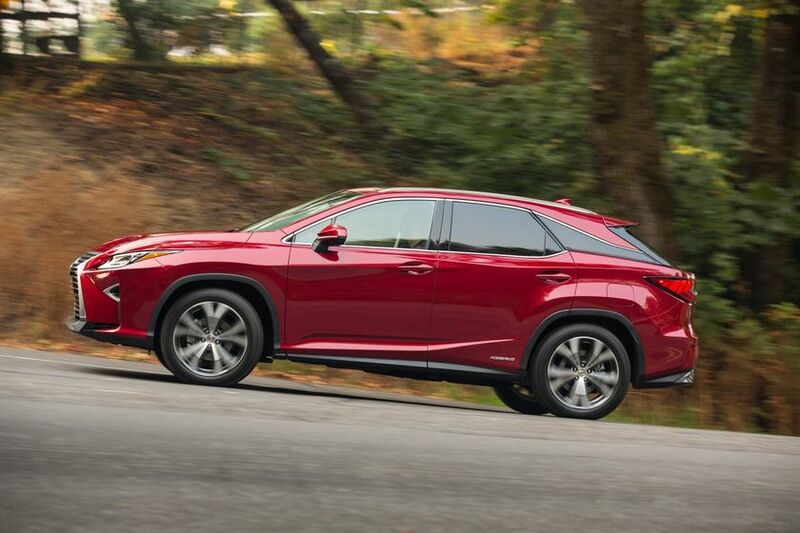 For 2017, all Lexus RX models will include Lexus Safety Sense+ (LSS+) - a suite of four advanced safety features and technologies designed to help prevent and avoid collisions and scan for hazards – as standard. 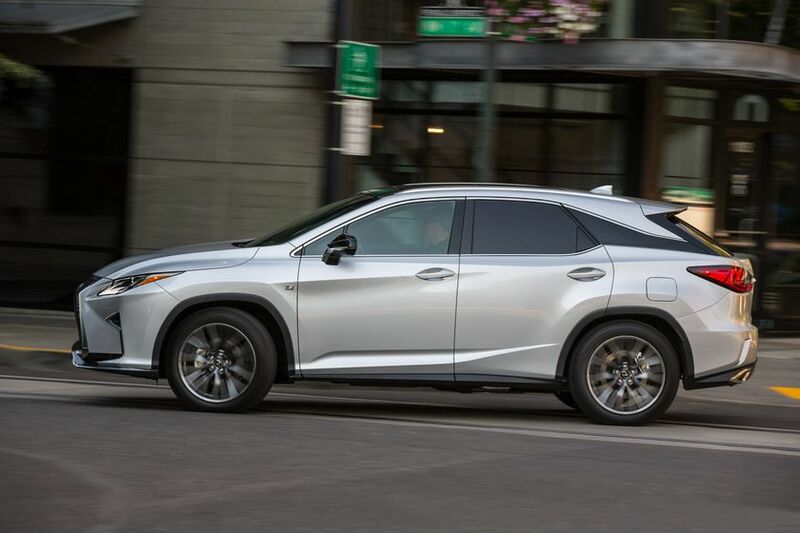 These features include Lane Departure Alert, a Pre-Collision System, Adaptive Cruise Control, Head-up Display and Automatic High Beam function In addition, select grades of RX 350 and RX 450h receive the added safety benefits of Rear Cross Traffic Brake (which sends an alert if a vehicle is approaching as one backs up, activating break control to help mitigate the chances of a collision, or reduce the amount of collision damage) and Intelligent Clearance Sonar* which now has the added enhancement of Drive Force Limiting Control, which restricts fuel delivery to the engine, paired with brake control to mitigate contact with obstacles. 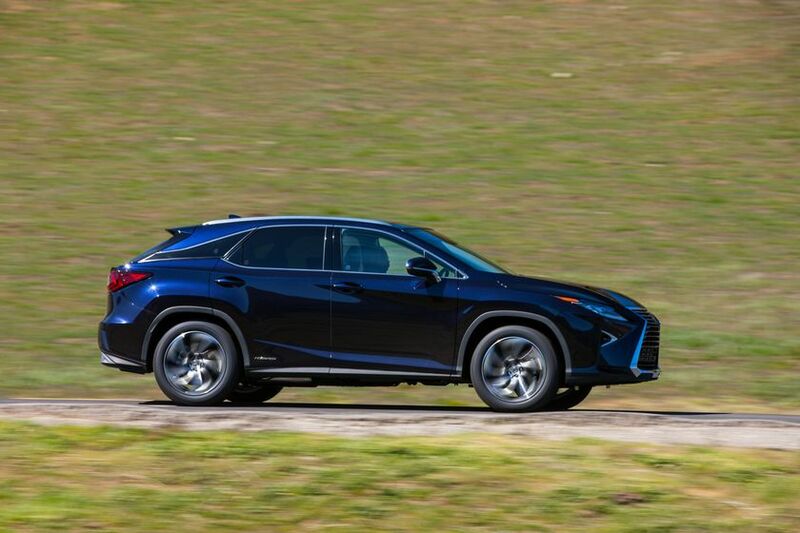 The RX 350 is built around a 295 peak horsepower 3.5L V6 engine with direct and port injection D-4S technology and Atkinson Cycle mated to a velvet-smooth eight-speed automatic transmission for spirited driving and a fuel efficiency of 10.7L/100km city/highway combined. 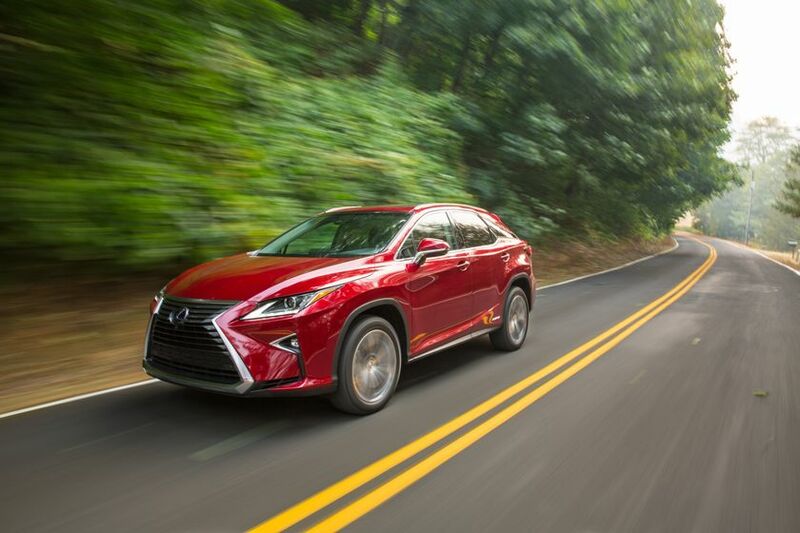 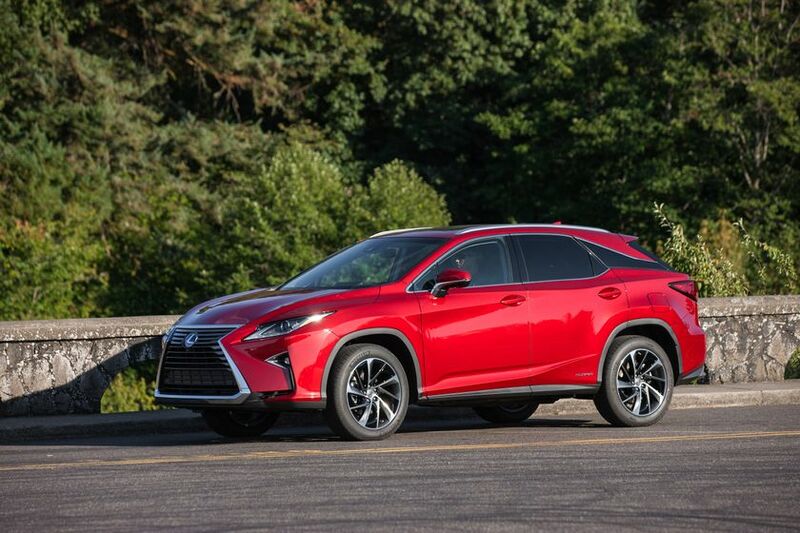 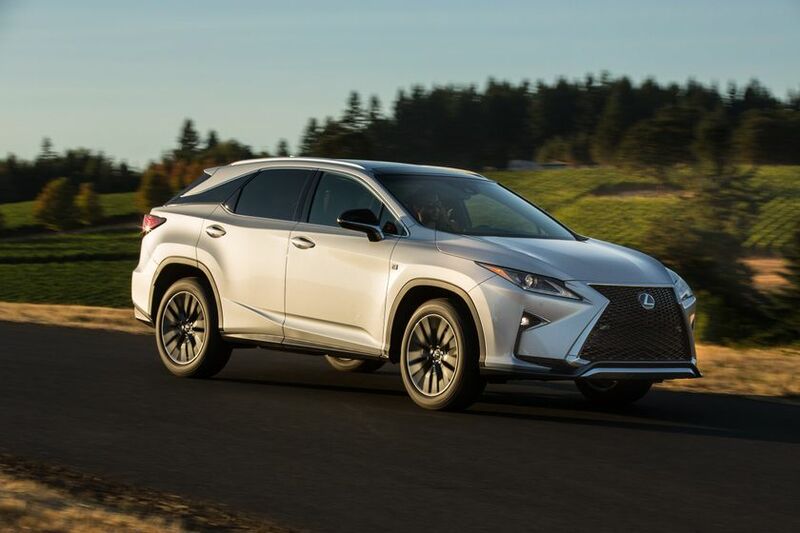 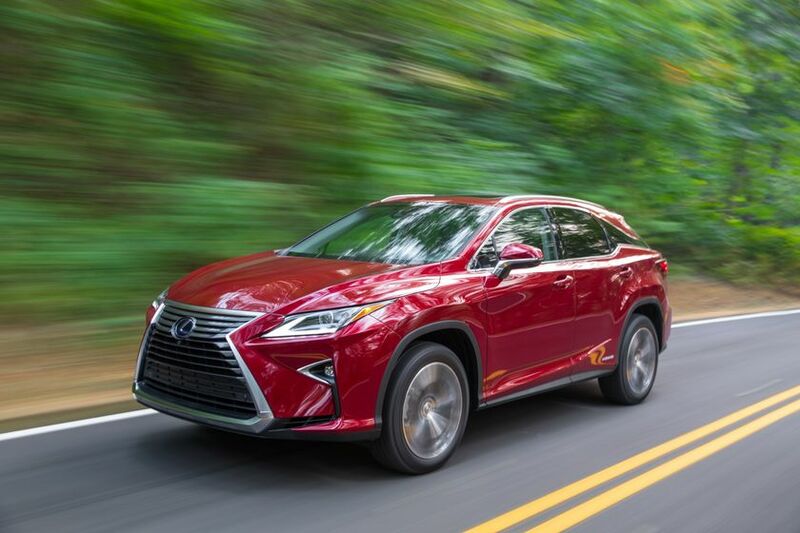 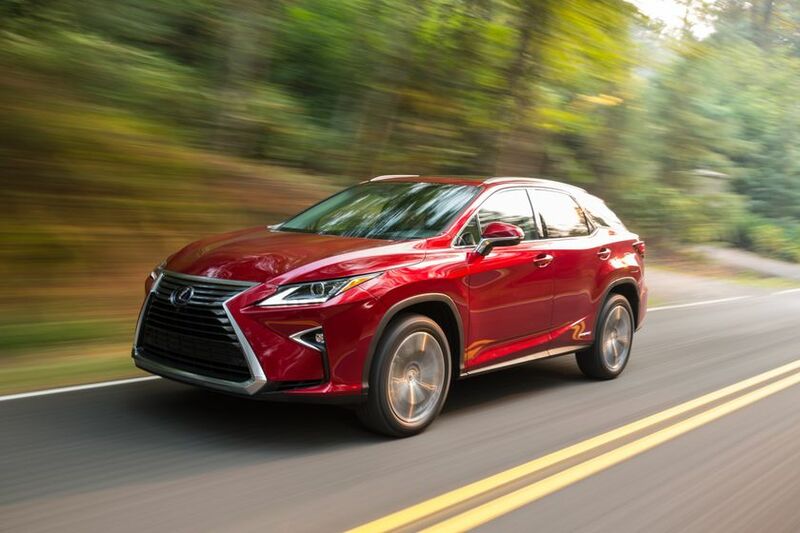 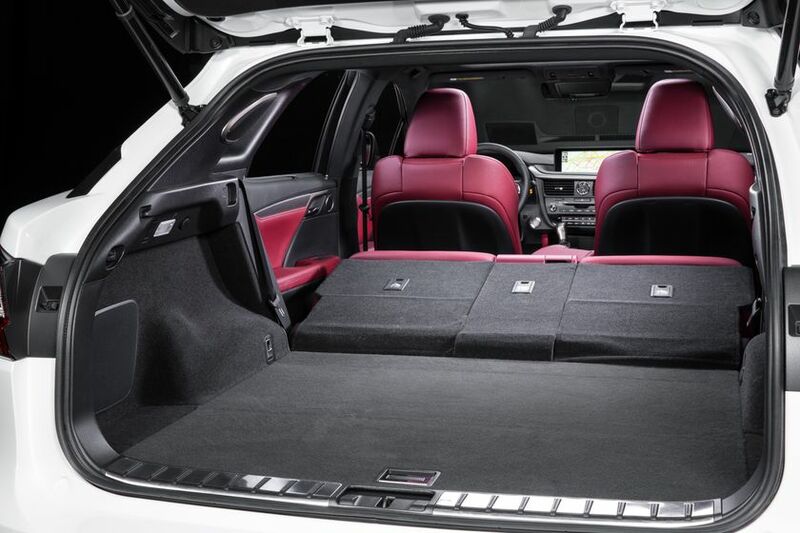 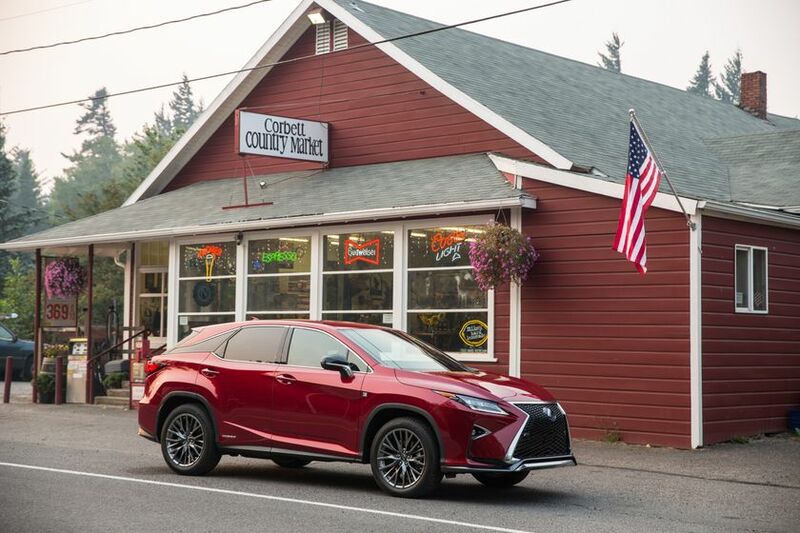 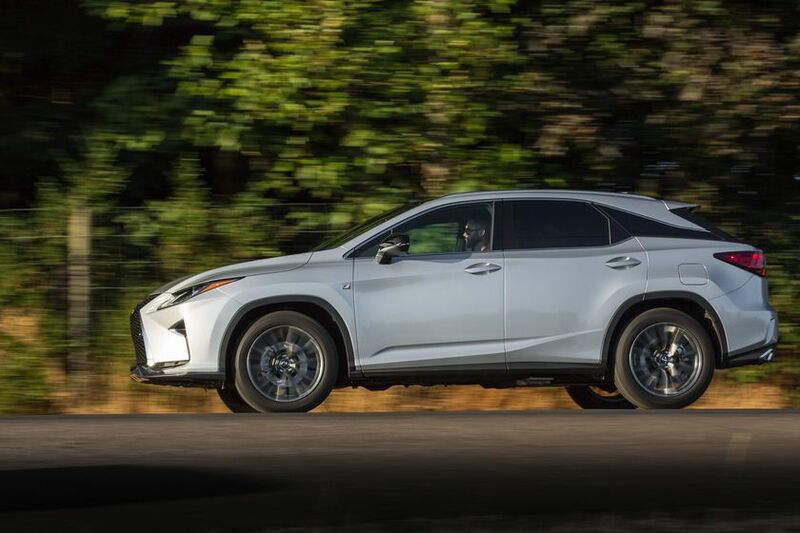 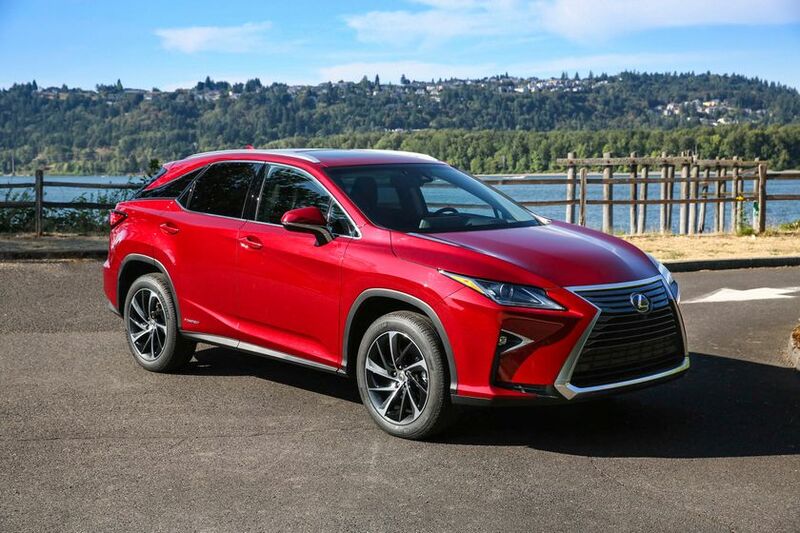 The RX 450h is built around a 308 net system horsepower Lexus Hybrid Drive featuring a 3.5L V6 Atkinson Cycle engine and a continuously variable transmission. 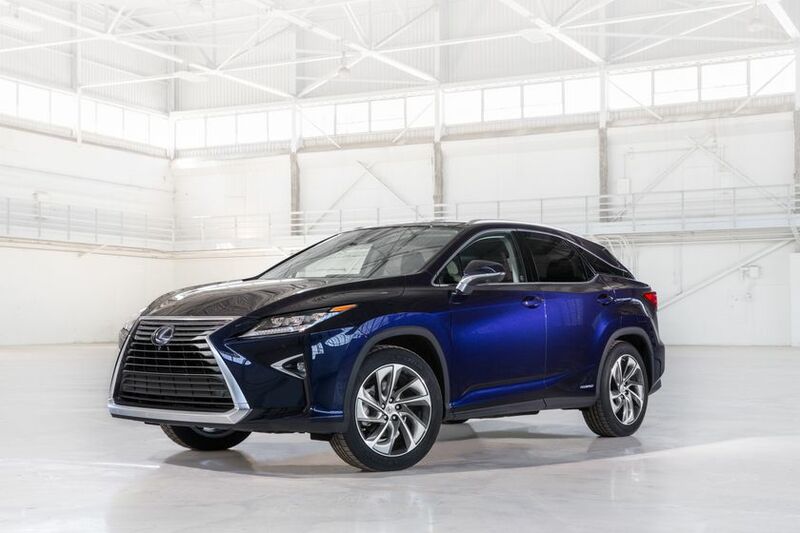 This delivers smooth, confident acceleration and impressive fuel efficiency for the segment, at just 8.0L/100km city/highway combined. 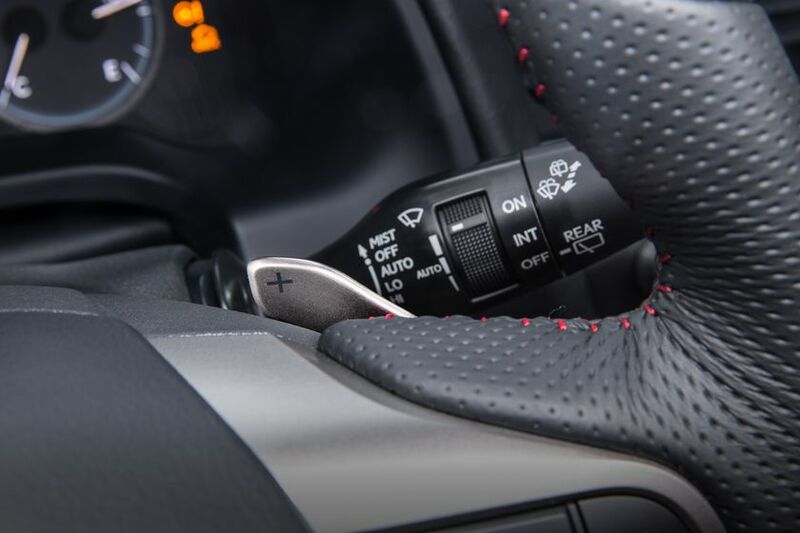 All RX models feature Drive Mode Select. 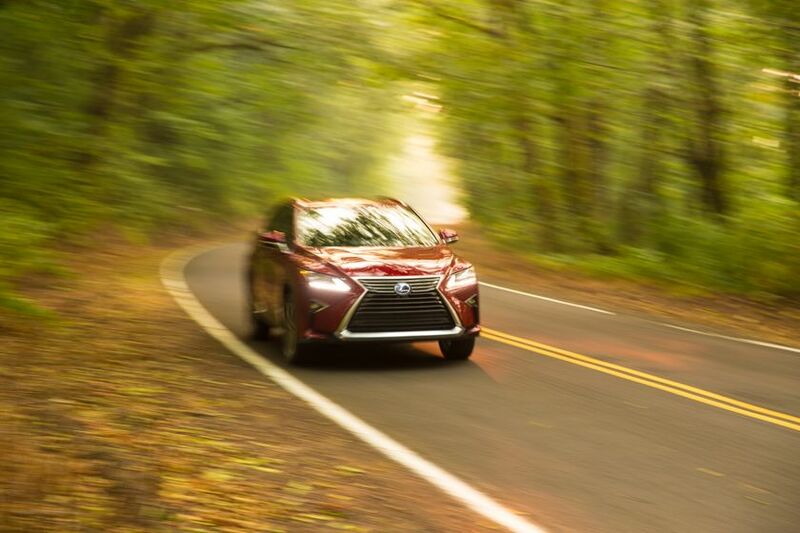 This allows guests to choose from three distinct drive modes – Normal, ECO, and Sport S – to match their mood and the road conditions. 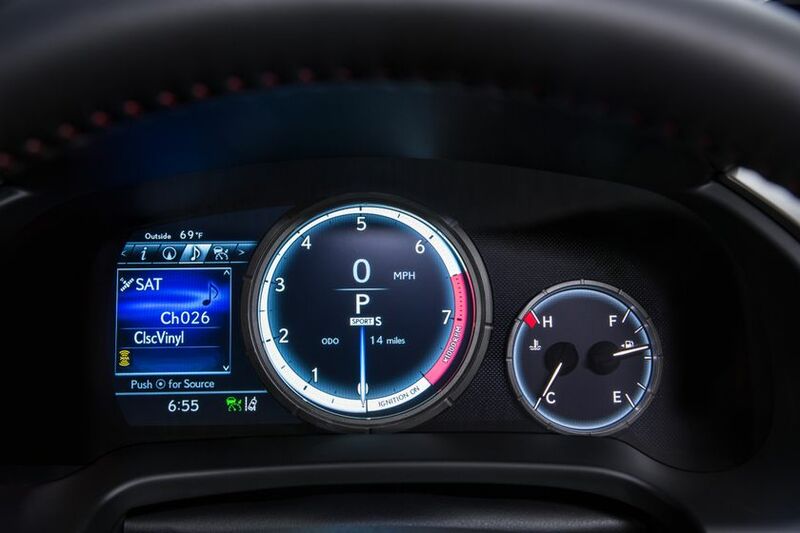 F SPORT models feature an additional Sport S+ Mode, as well as a Customize Mode, which allows the guest to adjust the vehicle to their personal preference. 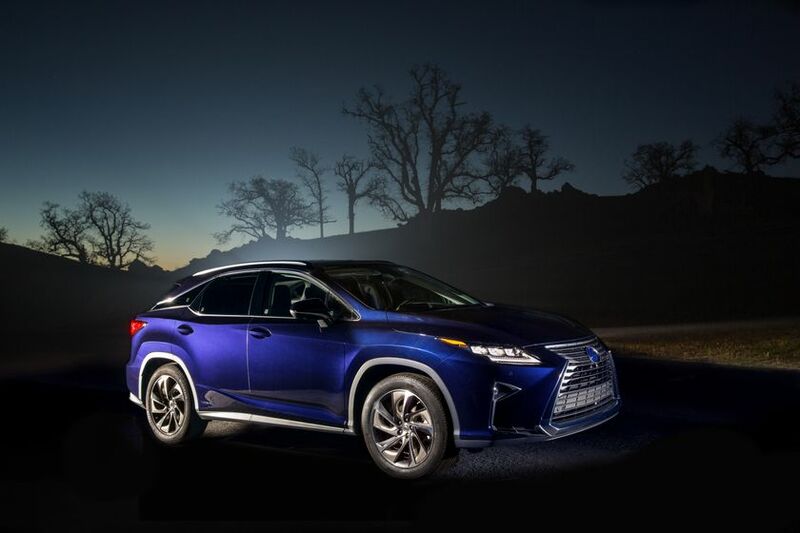 Hybrid models feature an EV Mode, which allows guests to drive in whisper-quiet electric vehicle mode for short distances. 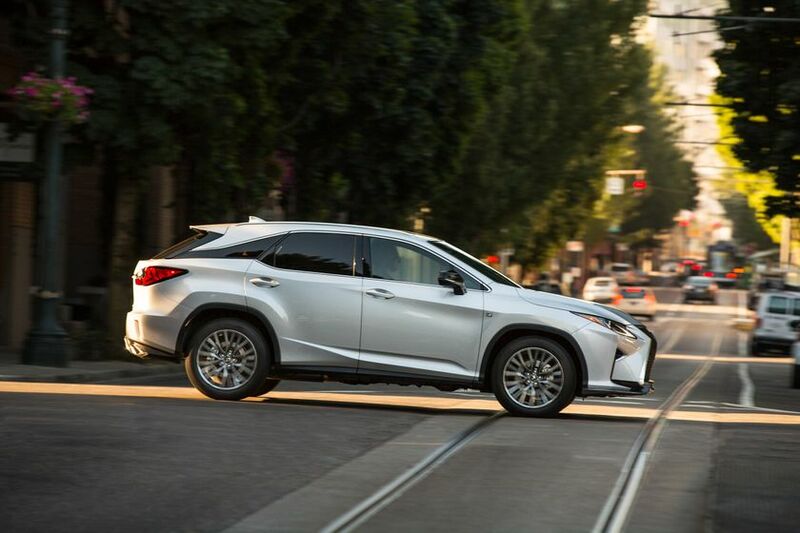 Nimble, agile handling is a hallmark of the RX series. 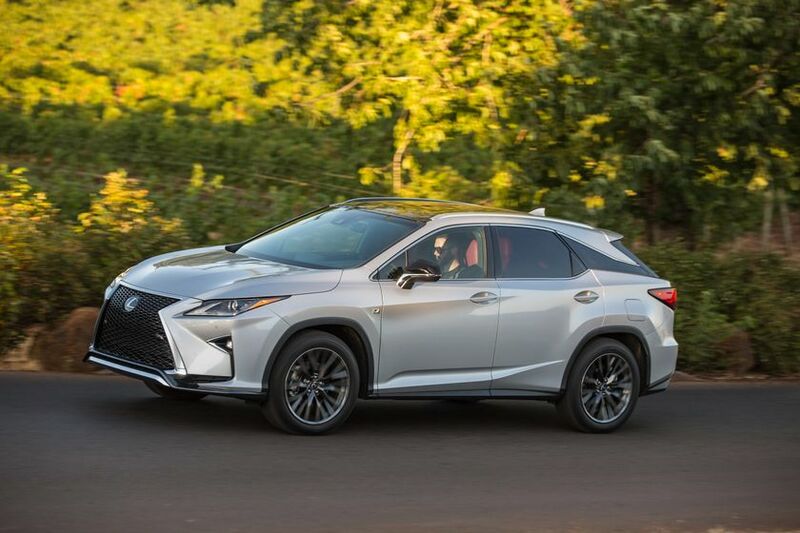 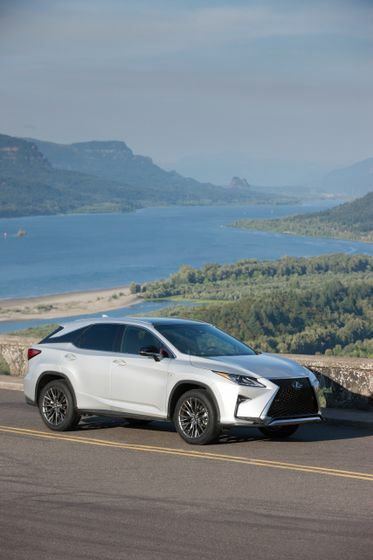 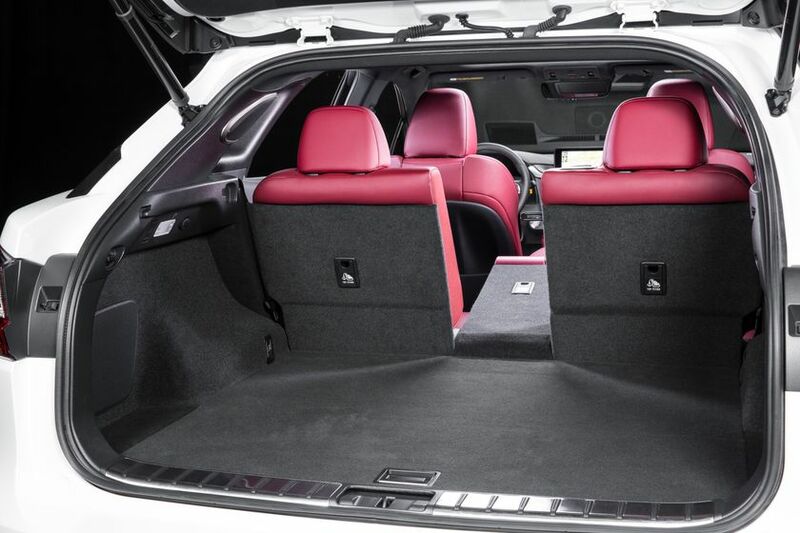 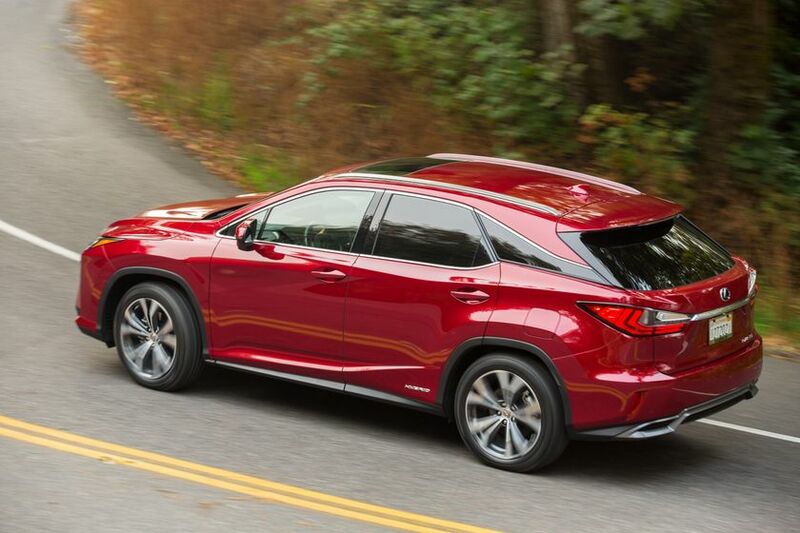 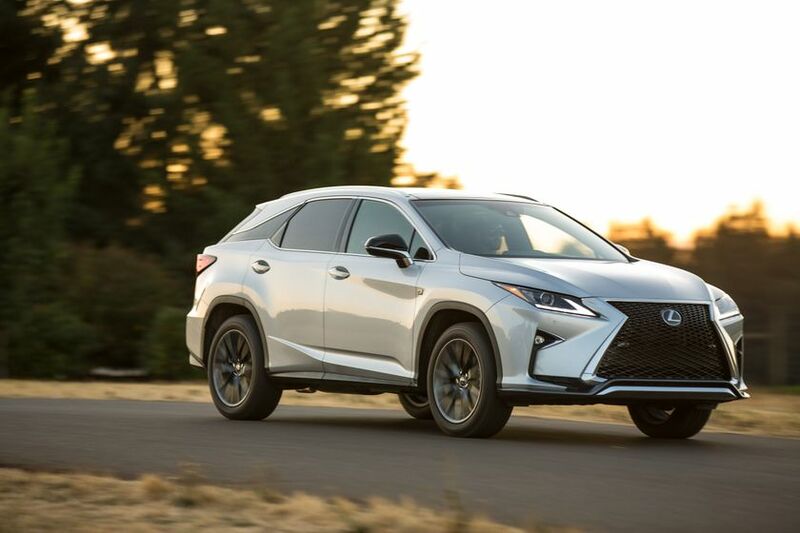 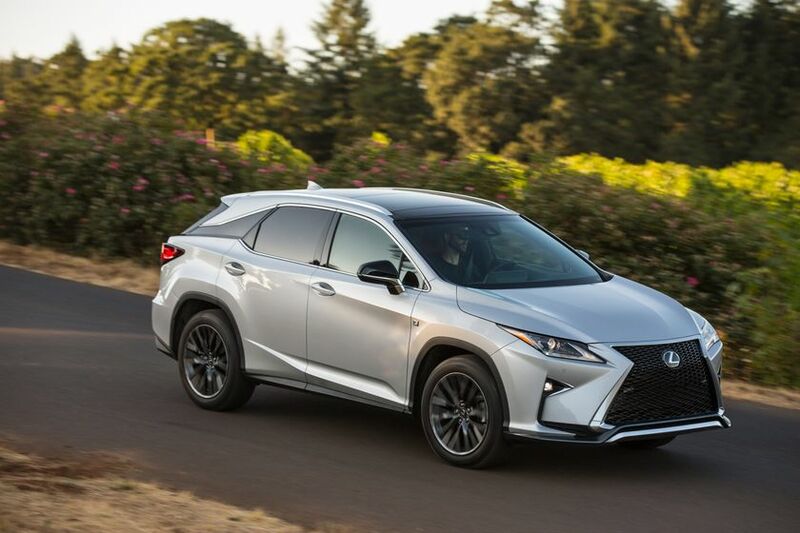 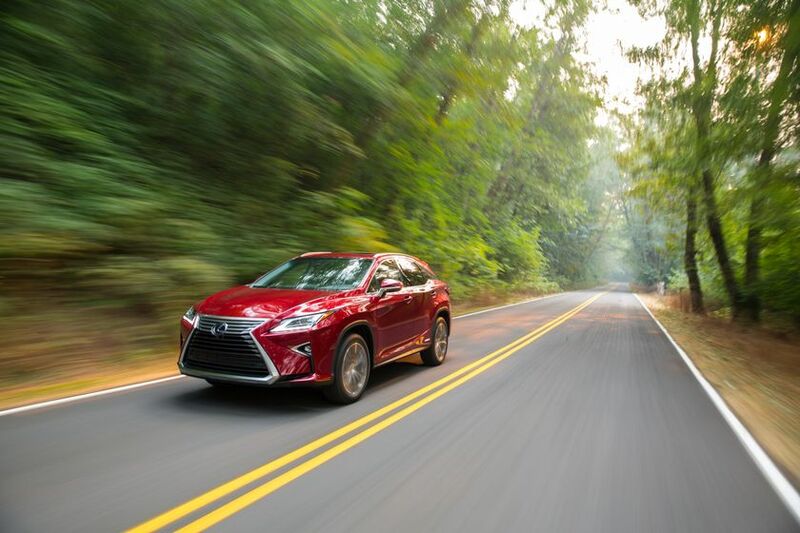 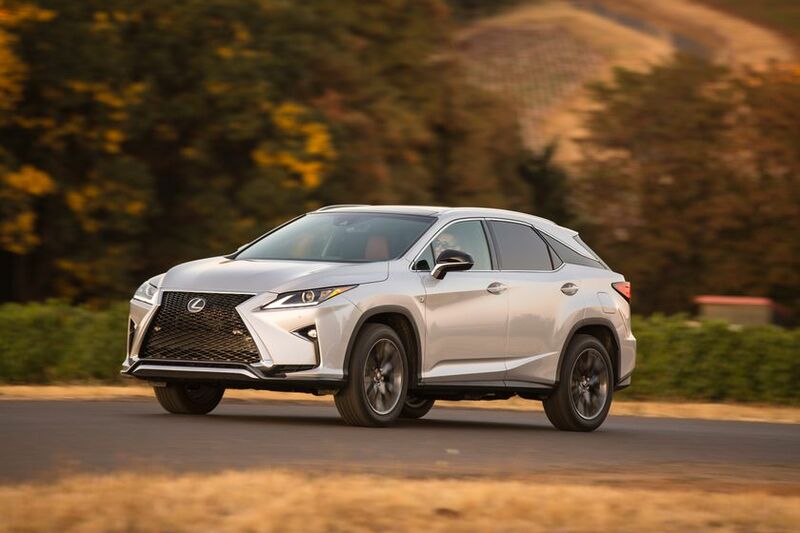 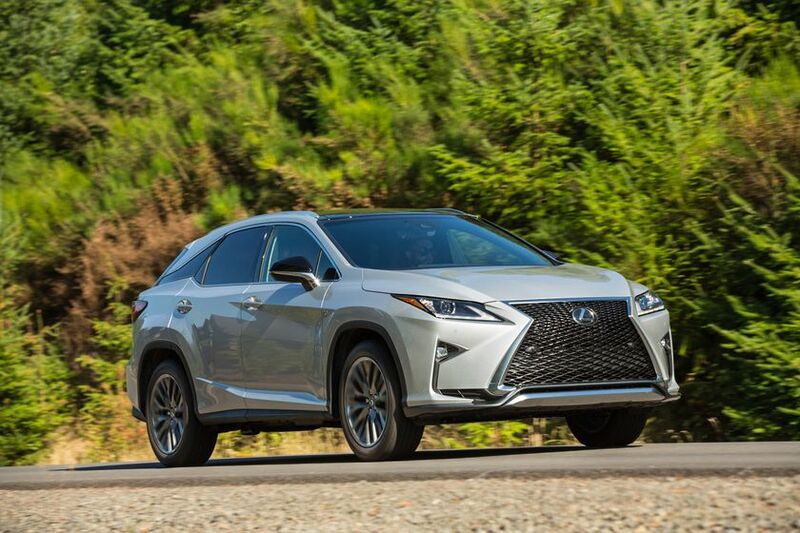 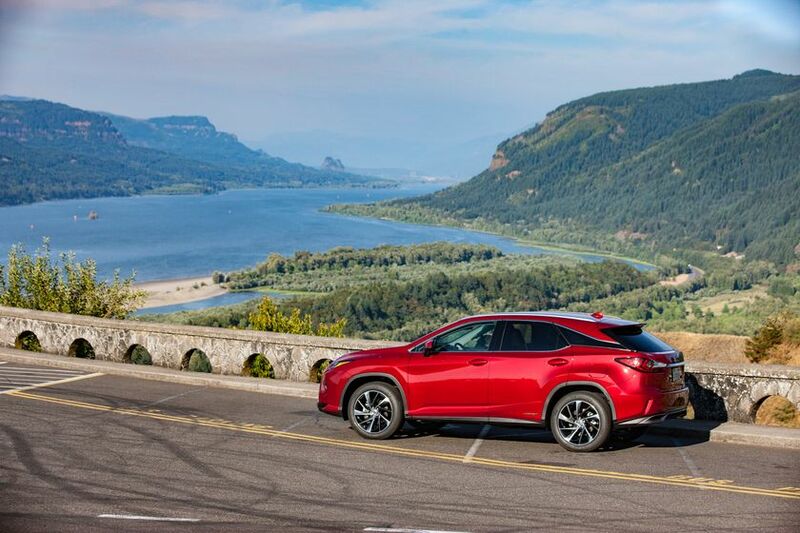 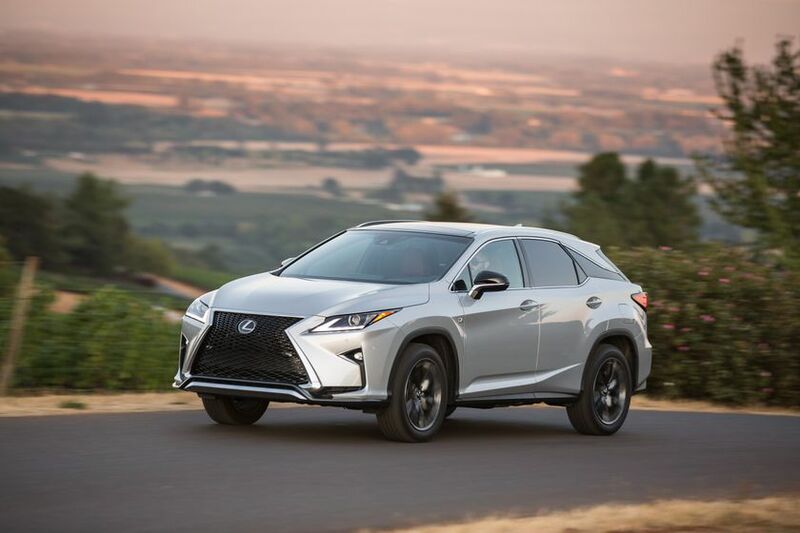 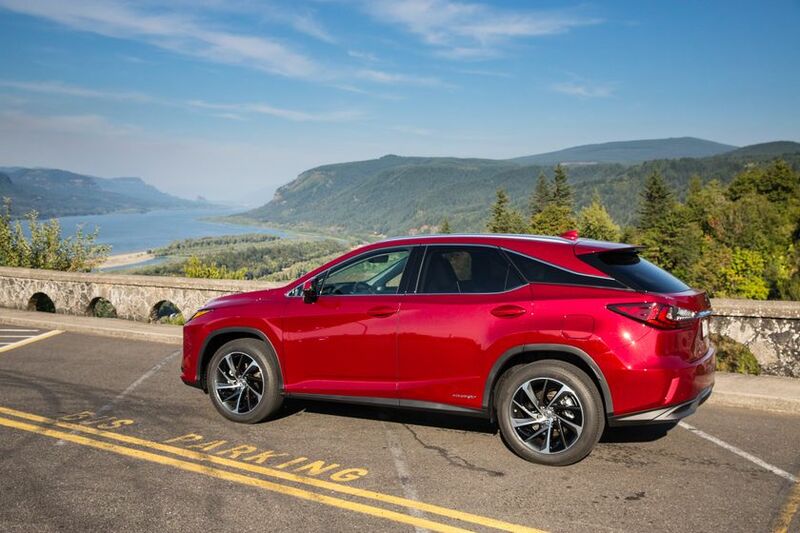 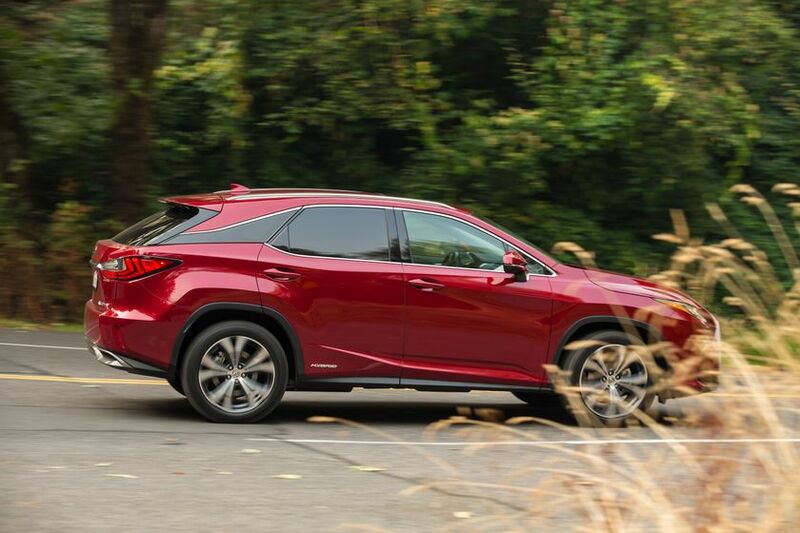 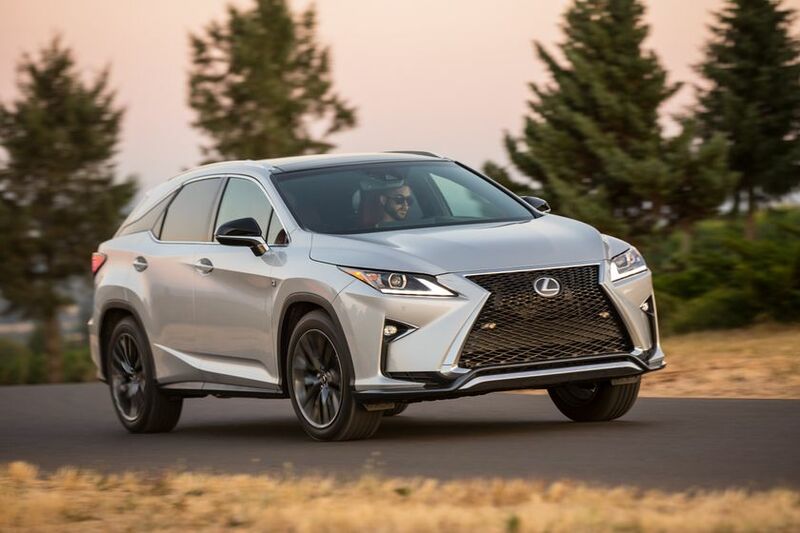 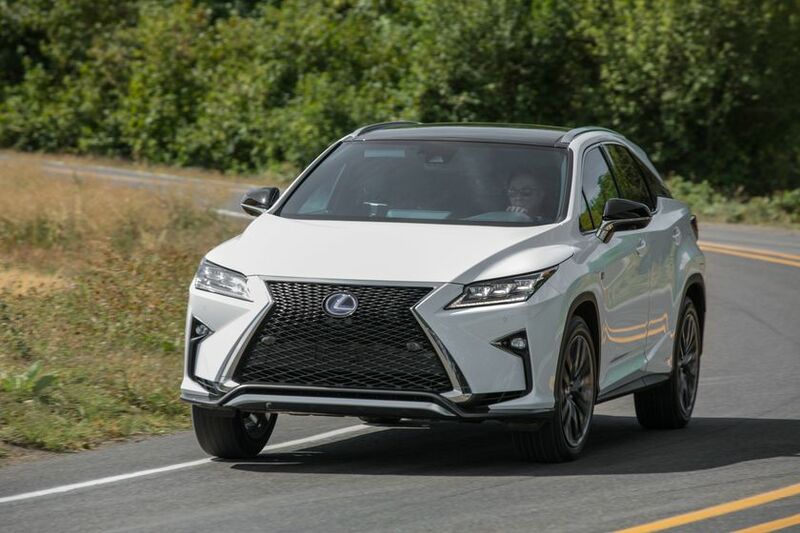 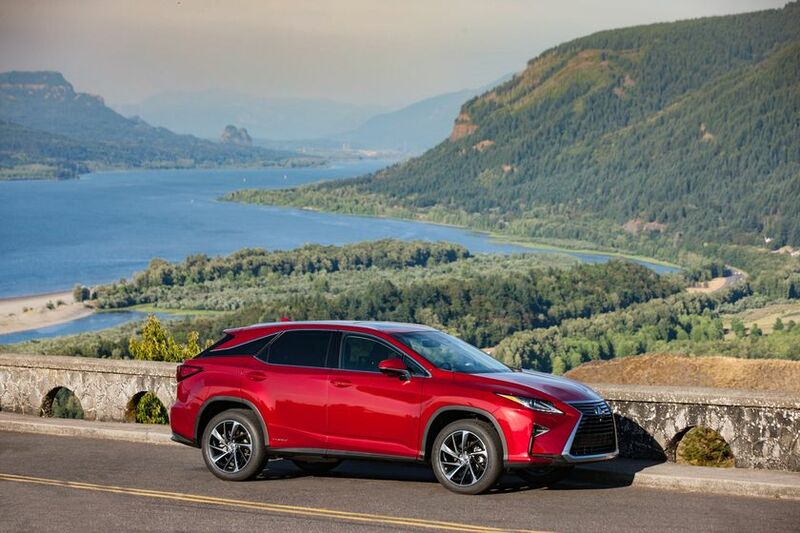 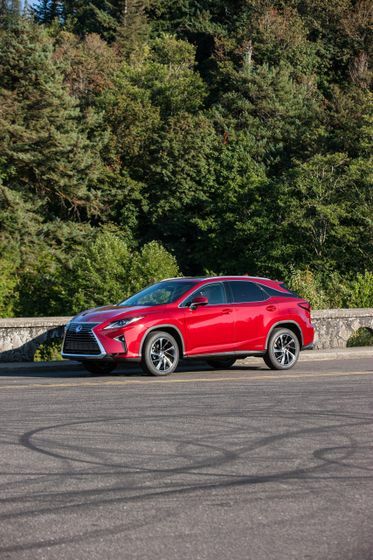 A fortified chassis and longer wheelbase give the fourth-generation RX even greater ride comfort plus improved straight-line stability and turning control, while a strengthened body structure boosts handling response and reduces in-cabin noise. 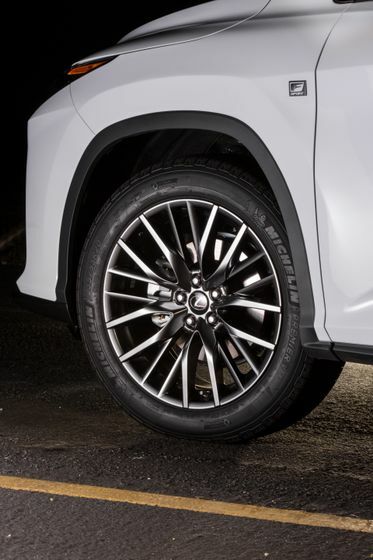 All RX models feature Active Torque All Wheel Drive, which evenly distributes torque between the front and rear wheels. 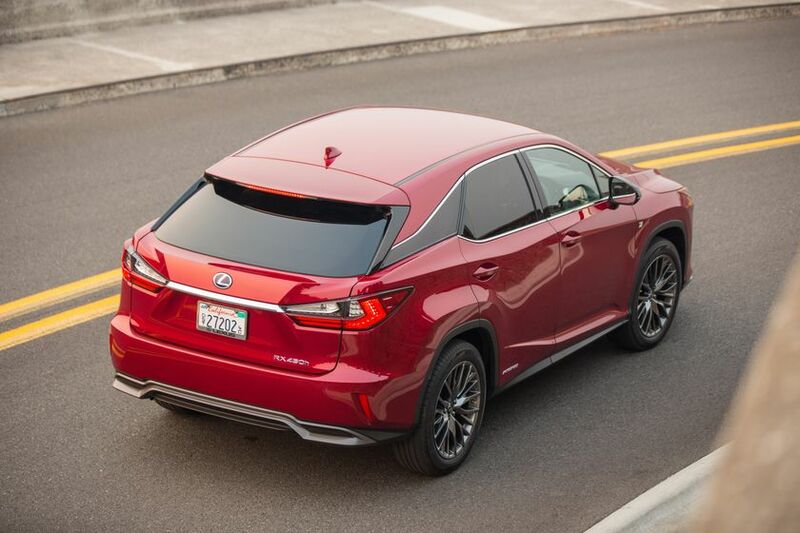 The result is excellent fuel efficiency and added driving confidence. 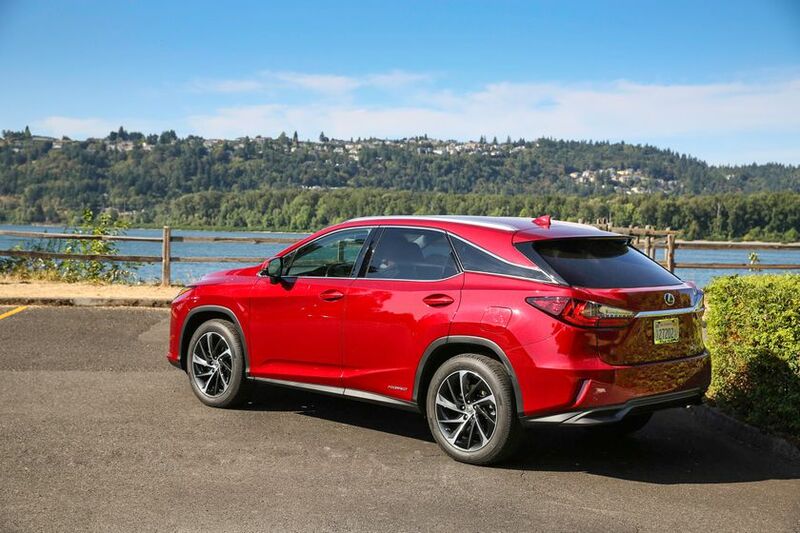 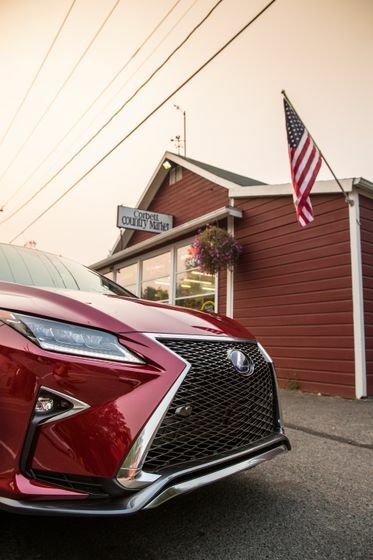 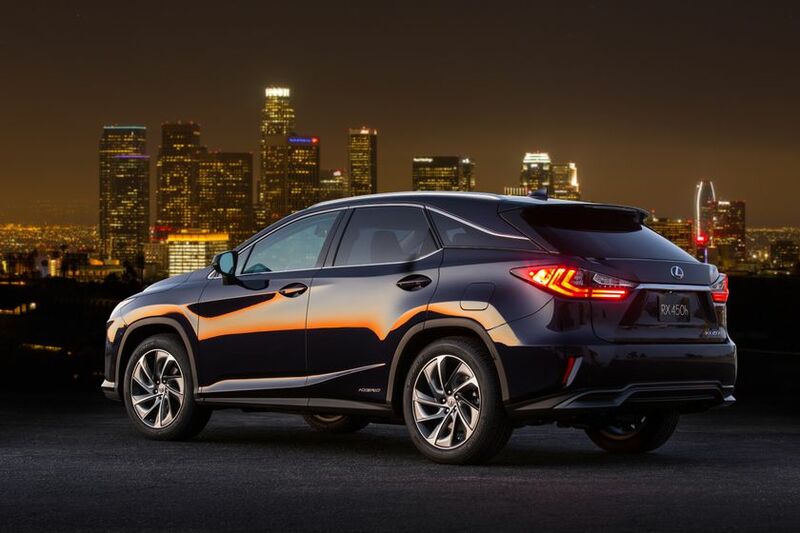 The 2017 RX series is immediately recognizable from any angle. 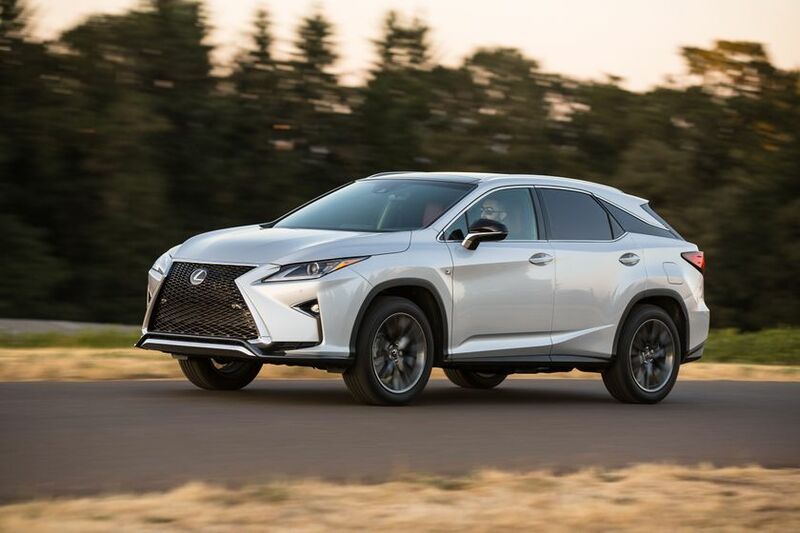 Dynamic lines frame the bold spindle grille, while muscular flared fenders hint at the exceptional performance of this luxury crossover. 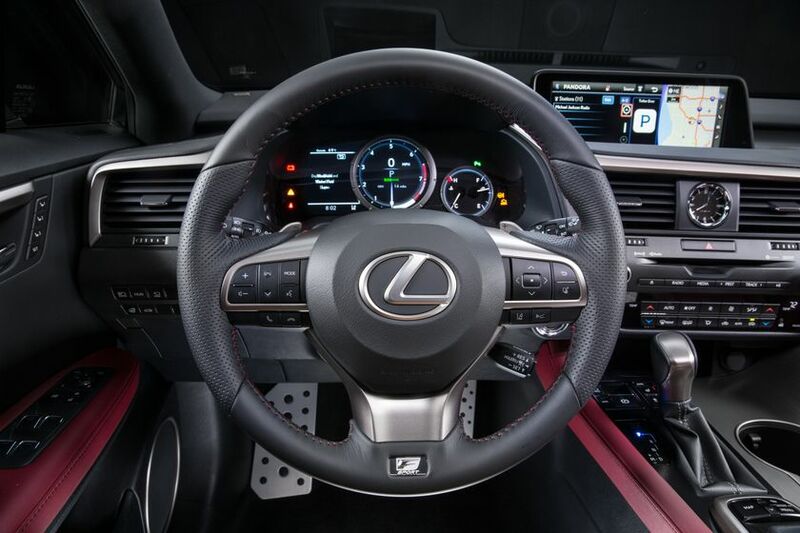 Inside, the cabin is a luxurious haven of technology and tranquility. 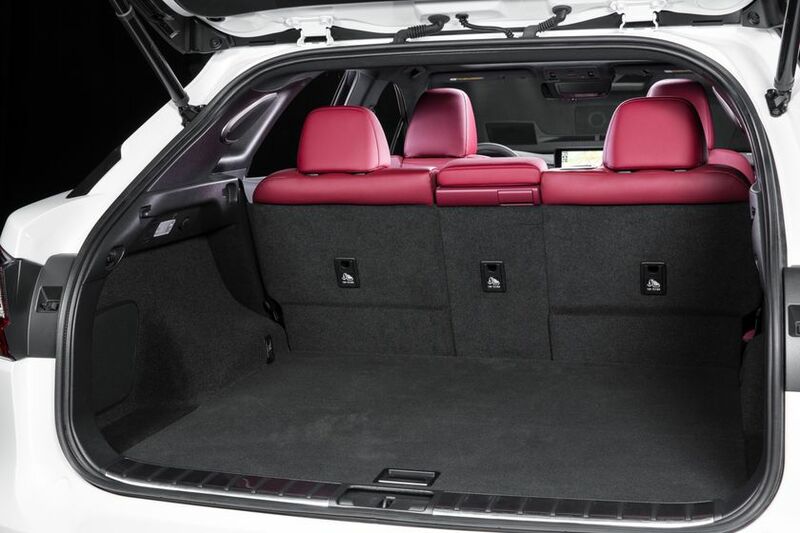 Seating for five is comfortable, while providing plenty of support for spirited driving. 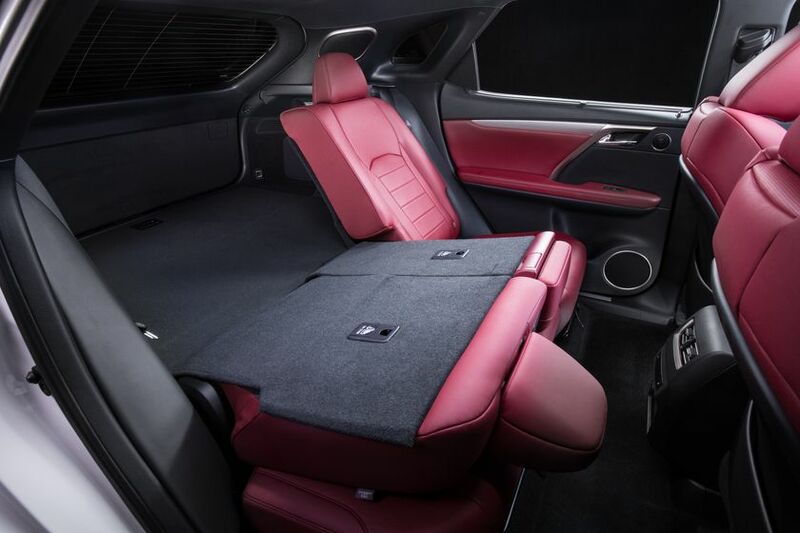 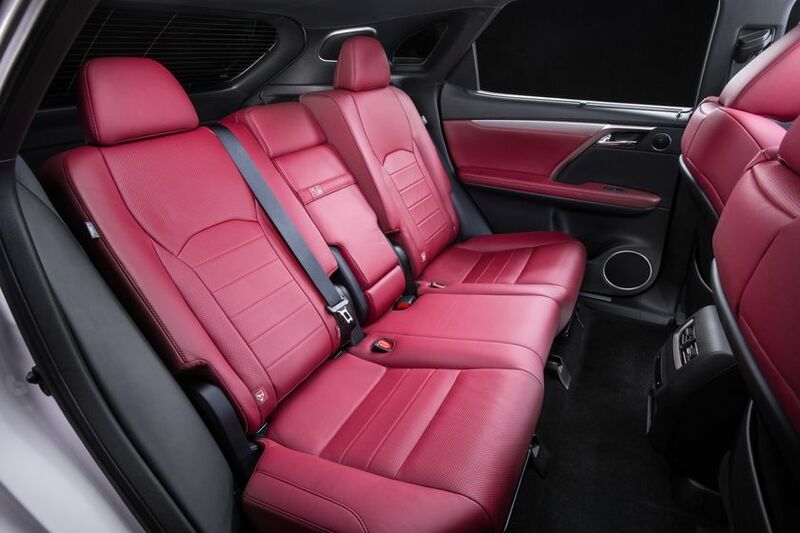 Rear seat legroom is improved over previous generations, and the rear seats are heated and feature power recline controls. 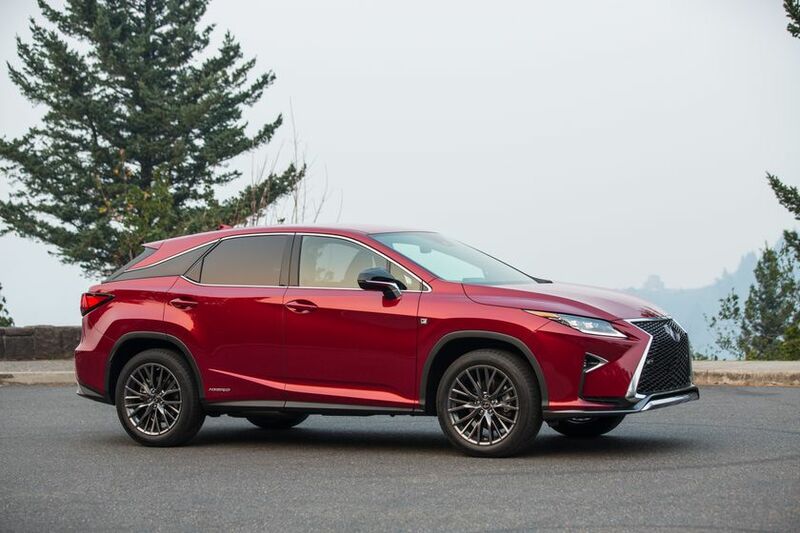 Other standard features include a heated steering wheel, Display Audio with Bluetooth capability, dual zone automatic climate control, 40/20/40 split folding rear seats with remote release in the cargo area, power windows with auto up/down on all windows, all door handle touch sensor lock/unlock feature, a power moon roof, and more. 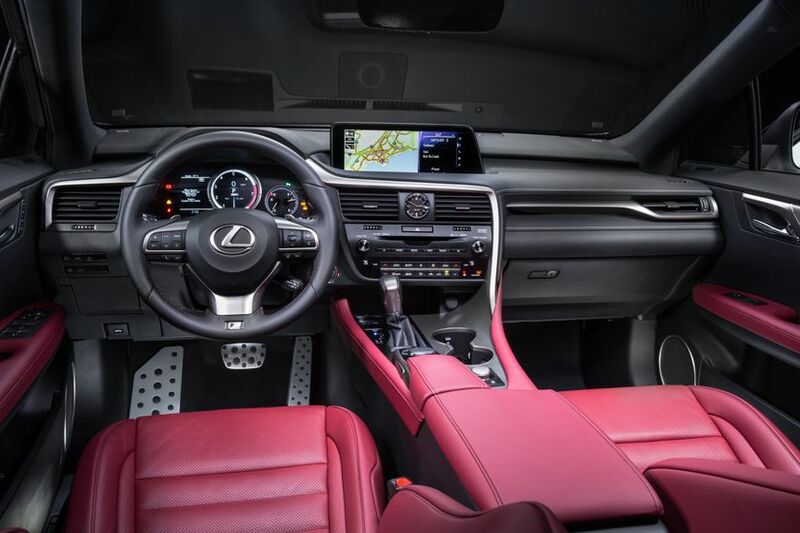 Additional luxury features available on select trim levels include hard disc navigation system with the Lexus Remote Touch Interface, Mark Levinson sound systems, wireless charging system for personal electronics, a panoramic moon roof, touch-free power back door and more. 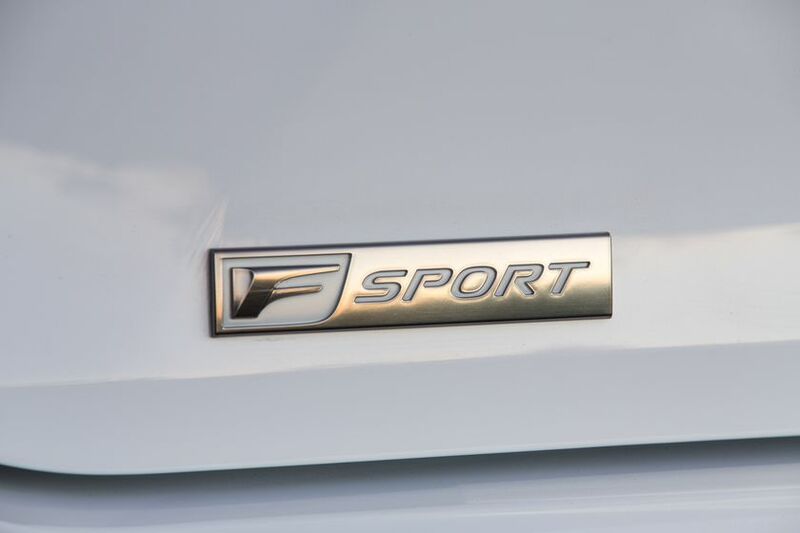 F SPORT models feature unique, larger aluminum wheels, an exclusive mesh grille and other F SPORT detailing inside and out, the Adaptive Variable Suspension system, Vehicle Dynamics Integrated Management, and more. 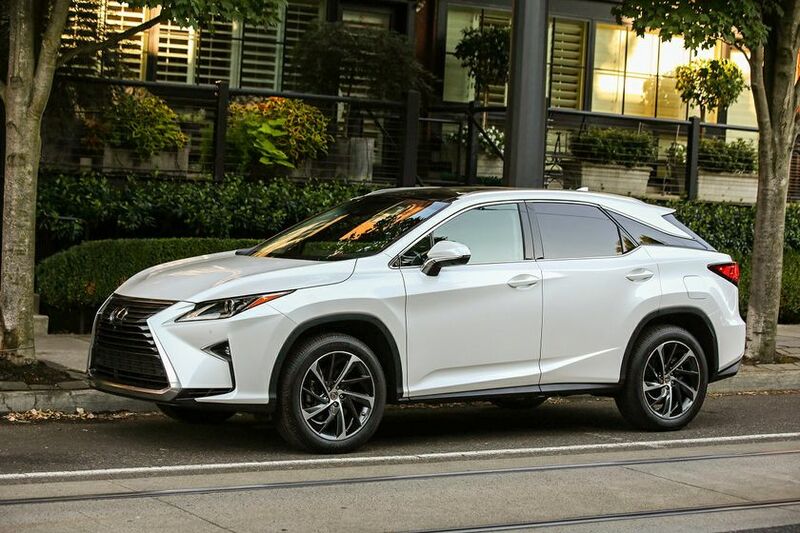 In addition to LSS+ now being standard in all RX models, the RX series also helps protect guests with an extensive portfolio of active and passive safety features. 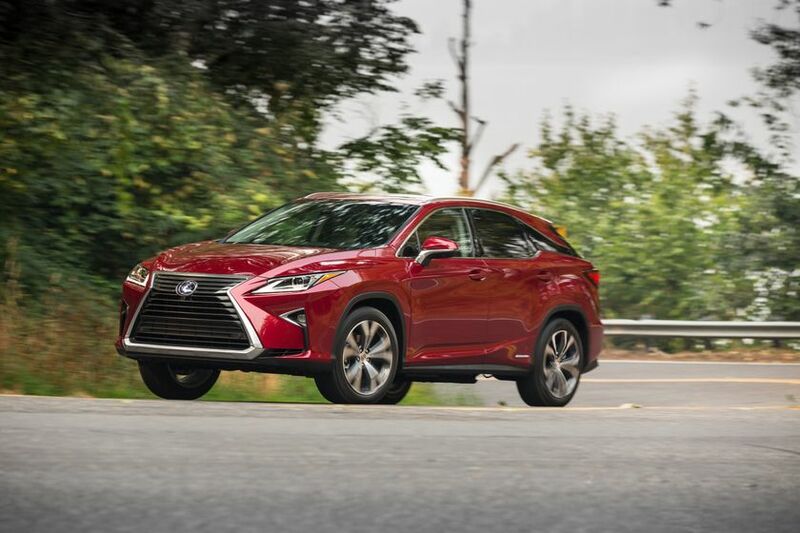 These include 10 airbags, Vehicle Stability Control, the Blind Spot Monitor system with Rear Cross Traffic Alert, several braking technologies, a back-up camera, LED headlamps, brake lamps, fog lamps and daytime running lamps, and more. 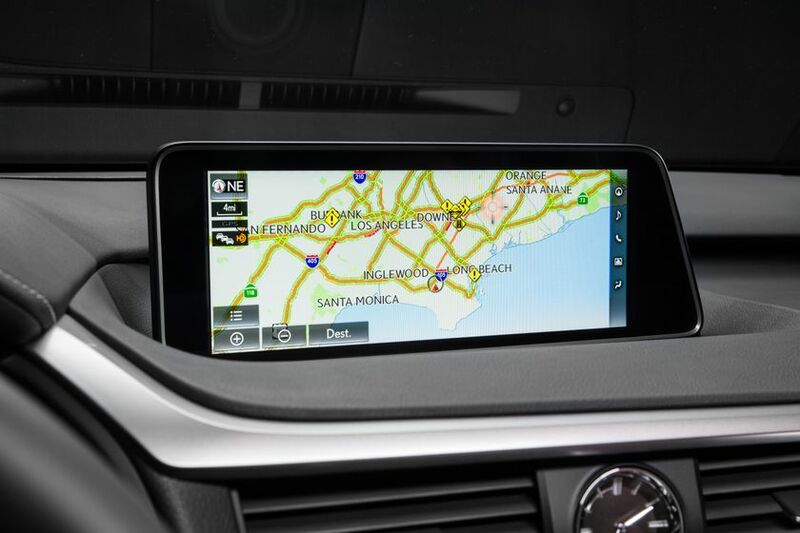 These may be enhanced on select trim levels with the available Panoramic View Monitor system and more. 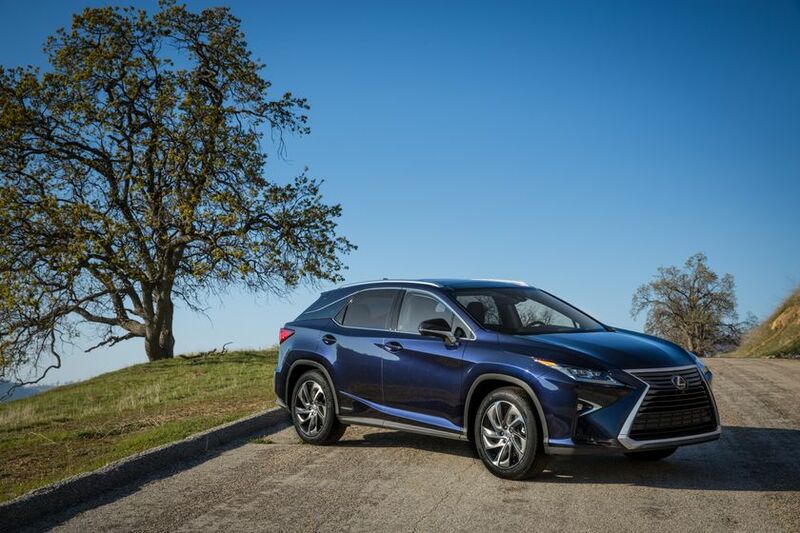 For complete and up-to-date details and specifications on the 2017 Lexus RX series, visit www.lexus.ca/rx.